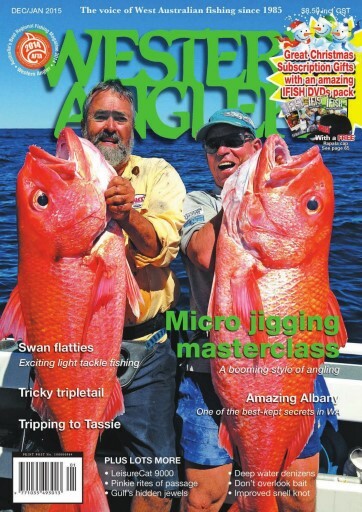 The December-January Western Angler takes a close look at Albany and the great fishing on offer around the south coast town. The quality of the fishing on offer around Albany would surprise many people, with something for anglers of skill levels and inclinations. Lloyd Lyons offers his thoughts on the rapidly growing technique of micro jigging and details its benefits. Broome’s Ben Little has his tips for finding and taming tripletail, one of the more elusive fish of the North-West, while Shane Mensforth looks at the delights of Tasmania. In the Boat Review, Darryl Hitchen puts the impressive LeisureCat 9000 through its paces. 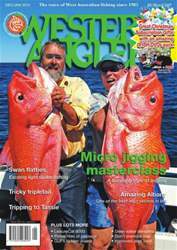 There’s also plenty more including columns on spangled emperor, the merits of slot limits, the hidden gems of Exmouth, pink snapper fishing from kayaks, the benefits of bait and a field test of a new baitcaster reel, as well as a detailed pictorial on how to tie the Improved Snell knot.